A bold presentation of your wedding details, these belly bands feature your personalization against your choice of background color. 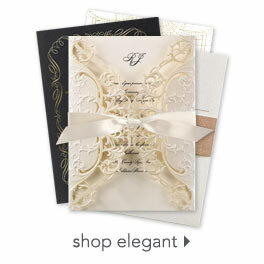 Our self-adhesive belly bands wrap around the front of the invitations and adhere securely in the back. Personalization Options: Your choice of color for the background. Your choice of color and font for your wording.